Pursuit of Happiness does not offer emergency care. 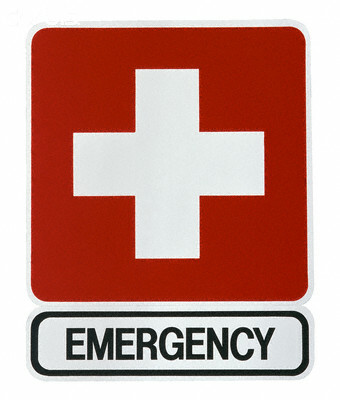 But we did want to take the time to put together this page to help you should an emergency situation arises. This situation must be taken very seriously. Even if you don't think you would actually carry it out, just the thought of suicide can be a slippery slope. What if you have a plan? What if you have means available to carry out the plan? What if something makes you really, REALLY mad and you make a rash decision. If you begin having these thoughts you should go to the hospital. Find your nearest ER or psychiatric hospital, and take some time to stabilize. Your own safety should be your first priority. What if my child is threatening suicide or homicide? Do not hesitate. Take your child to the ER or nearest psychiatric hospital immediately. If you child refuses to go, or you feel like the situation is dangerous or imminent, call 911. The police can take your child to the nearest ER or psychiatric hospital for evaluation where recommendations will be made for their care. Typically in situations of someone threatening suicide that day, a hospital is going to recommend inpatient. If your child is making threats to kill his/herself, or to kill someone else, your obligation is for the safety of all involved. Take action immediately. What if I find a suicide note, but I don't know when it was written? Your obligation is still for the safety of all involved. The note might have been written last year, but the feelings could still remain. Take the person to the ER or the psychiatric hospital for evaluation. Most psych hospitals will do a free evaluation. What is going to happen at the psychiatric hospital? Isn't that for crazy people? Freestanding psychiatric hospitals do have people with severe psychiatric conditions like schizophrenia. However, they are often housed in different specialized units, most patients at a psych hospital are those having thoughts of suicide. A psychiatric hospital will typically break into different units for children and adolescents (separated by gender), adults (separated by low functioning (severe psychiatric conditions) and high functioning), drugs/detox, geriatric, and trauma. Depending on the hospital, either a nurse of a Licensed Professional Counselor will do an initial evaluation followed by an evaluation by a psychiatrist or doctor. Recommendations for level of care will be made for either outpatient, partial day hospital (if the hospital offers this), or inpatient depending on the severity of criteria. If the patient does not agree to inpatient, or the patient is unable to make a rational informed decision for their care due to their mental state, the doctor does have the option to issue an Order of Protective Custody (OPC) for the patient to stay at the hospital involuntarily. This will usually only be issued if the doctor feels like there is an imminent threat and the patient is in imminent danger of hurting themselves or others. Stays at the psychiatric hospital can range anywhere from a couple days to a couple weeks depending on severity. The hospitals objective is to stabilize the presenting psychiatric condition and to step the patient down to a lower level of care such as the partial day hospital or to their outpatient providers.